The current dry weather means I am not coming across as many terrestrial molluscs as usual. While moving some pots I came across these two beauties, the Yellow slug (Limacus flavus, top) and the Irish Yellow Slug (Limax maculatus). After a while they relaxed on a wet white bowl and let me take their portraits before being returned to the plastic pot pile. Until recently, they were considered the same species, but these two look very different, not only in coloration, but in body shape, despite being a similar length. Both are very common out and inside my house, and are active at night. 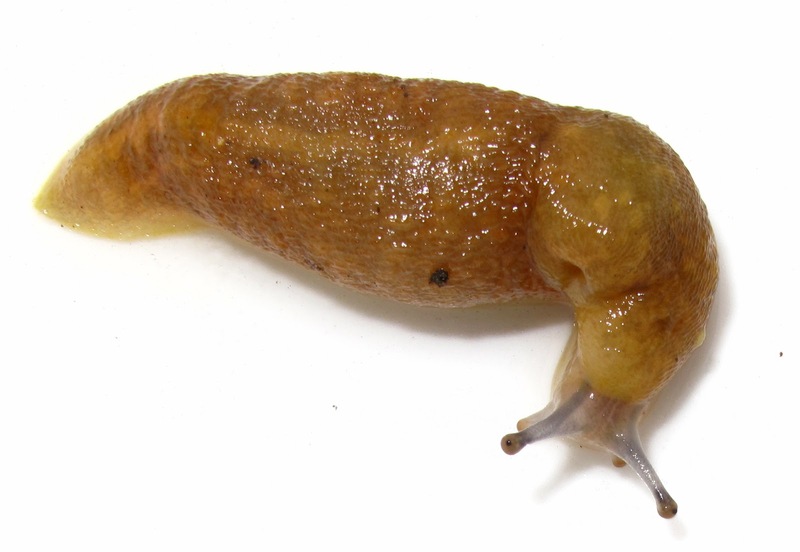 I found this useful slug key in the field studies website. Great pictures - putting them on a white background really brings out the detail. Thanks for the link to the ID key too. Thank you Wildgardener! They are still very variable species and possibly they are amongst the most divergent variants of both species. The key is great although some of the plates are strangely missing. So great! Wonderful specimens, wonderfully captured. I want to feel my monitor. Why are some hoverflies poor mimics? Do spiders find ladybirds distasteful?